When walking into a classroom, first impressions can set the tone of what is being taught and how. 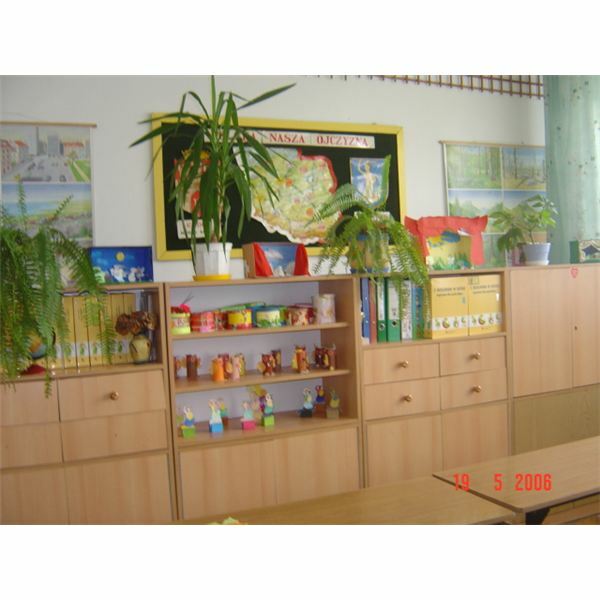 Themes for the classrooms have long been used by elementary teachers as a way to capture a student's attention, reinforce teaching, scaffold learning from one area to another and create a cheerful environment for study. However, they are also an invaluable tool for upper grades. Strategies for teaching in middle and high school can easily include creative and engaging themes. Decorating for your theme can be taken up a notch from the hand-lettered, felt and Velcro displays found in elementary school. For instance, National Geographic has maps connected to about any subject thought of, not to mention various posters that can be laminated for hanging in the classroom. Educators who lack the ability to create themes that can remain intact for extended periods might consider advanced technology. Most classrooms have a white board, which works well as a screen for overhead projection. Graphics on the theme from the unit being taught might be projected during class onto the white board. Once class is over, the overhead projector can be turned off and the next class is ready to use the room. Most elementary classrooms have theme plans that include a calendar, the weather, jobs for the day/week, the alphabet, and/or vocabulary words or phrases. One caution: classroom teachers should remember that sensory overload (too many colors, too many things crowded into a small area, too many tasks for students to observe, will take away from the effectiveness of the teaching wall. Less is always more in this instance. Therefore, depending on the size of the wall space, it is best to pick two or three things that can be clearly displayed without overlapping or crowding. Middle and high school classrooms often have multiple uses—home room, math class, writing class, etc.—all held in the same exact space. If classrooms are assigned to one teacher or to one subject, then creating themes that will aid students in their studies and spark an interest in the subject is a simple matter of finding a space that will serve the purpose. Teachers who share rooms with other teachers across subject matter will need to be a bit more creative. Laminated maps or posters that can come and go with the teacher, overhead projections, even Power Point presentations projected onto the wall at the beginning and end of class can leave a lasting impression on students. Elementary themes or topics can be created on a general basis. Middle and High school themes or topics can focus in on more specifics. Holidays – There seems to be a holiday of some sort every month. Remember to keep the walls or door displays simple, yet informative. While creative teaching themes are a great way to engage students, too much information or too much color may overwhelm young learners. However, teaching walls are a sure and reliable way of scaffolding knowledge and sparking the interest of students in topics that might not be as captivating if taught only by textbook.